Fully restored classic and vintage Ice Cream Vans available to hire for TV and film work. 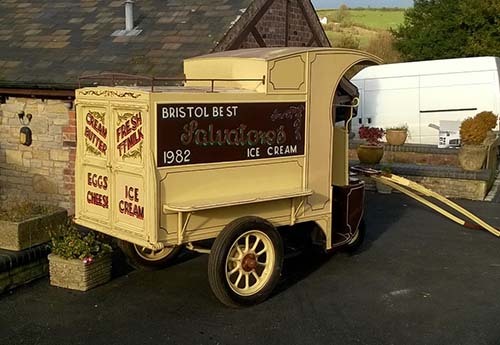 So much more than just a vintage ice cream van, these will delight and excite your guests and visitors at weddings, parties, events, festivals, fetes and fairs. A choice of our 1969 and 1972 Mr Whippy Bedford CF’s or 1930 Horse Drawn cart with Mr Whippy ice cream machine. We are based in Bristol, and serve the areas of North Somerset, South Gloucestershire and the South West of England. Mobile Ice Cream and catering services for carnivals, charity events, concerts, weddings, fairs, fetes, open days, school sports days, corporate events, indoors events etc. 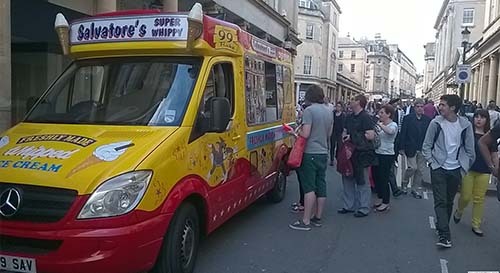 Contact us regarding your ice cream van hire requirments.